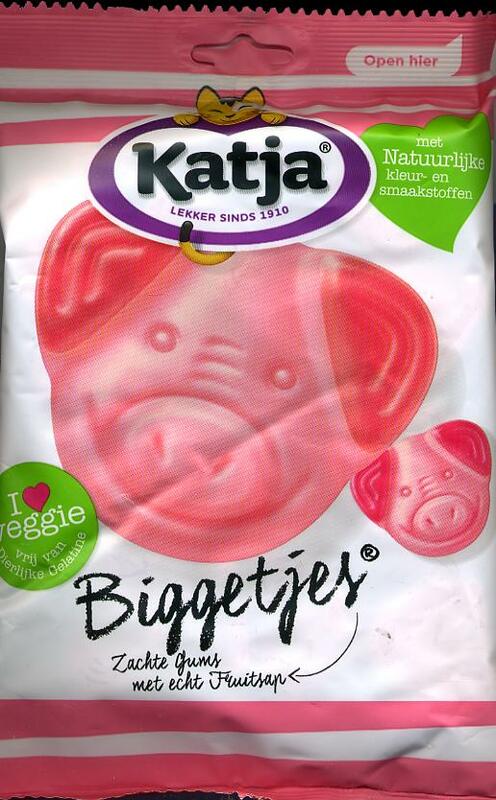 Katja Biggetjes Zachte Gums -- Soft Pink Pig Heads Candy 300g - Candy - The Dutch Shop LLC your store for Dutch groceries. Katja Biggetjes Zachte Gums -- Soft Pink Pig Heads Candy 300g. Soft fruit gummy candy with playful ears. Strawberry, raspberry and cherry flavored.